Two year old girl and her mother in the playroom. 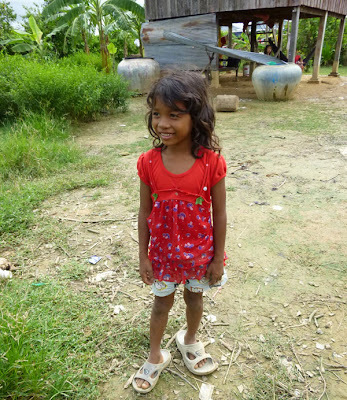 Van Kunthea*, who is 2 years old, is HIV positive. 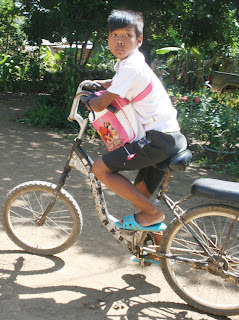 A few years ago, many HIV positive children like Kunthea didn’t live to see their second birthday. 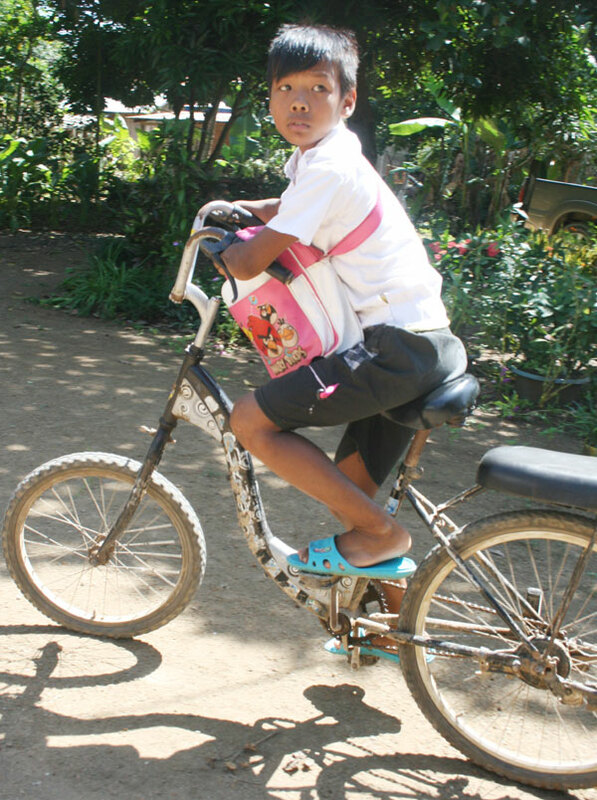 Fortunately, Kunthea was diagnosed within the first six weeks of being born and ever since she has been taking anti-retroviral drugs which prevent the HIV virus from destroying her immune system. 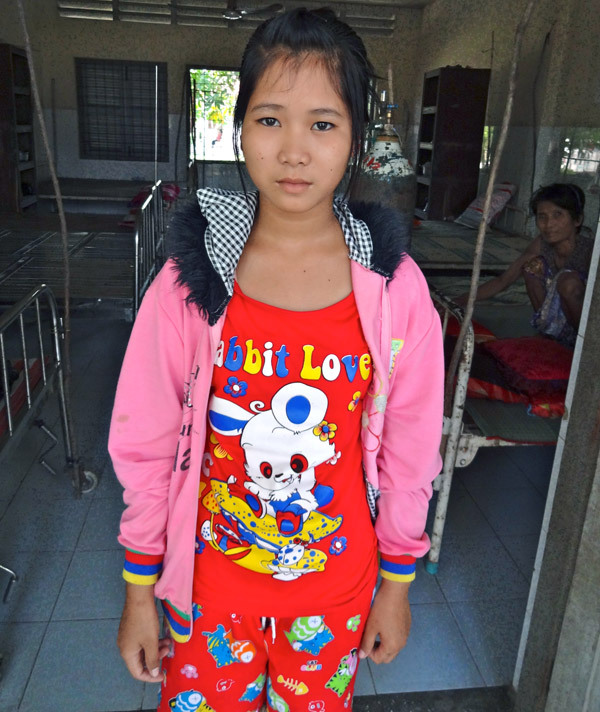 Kunthea is healthy and has no symptoms of HIV, and her mother Sao Rasy*, takes her to Battambang Referral Hospital every month for a check-up and a supply of medication. The family are now connected to the piped water supply system. After taking her daily morning shower and eating breakfast with her family, 9-year-old Srey Neang from Preak Hang village, reads aloud from her Khmer text book, whilst swaying from side to side in a large, green hammock. 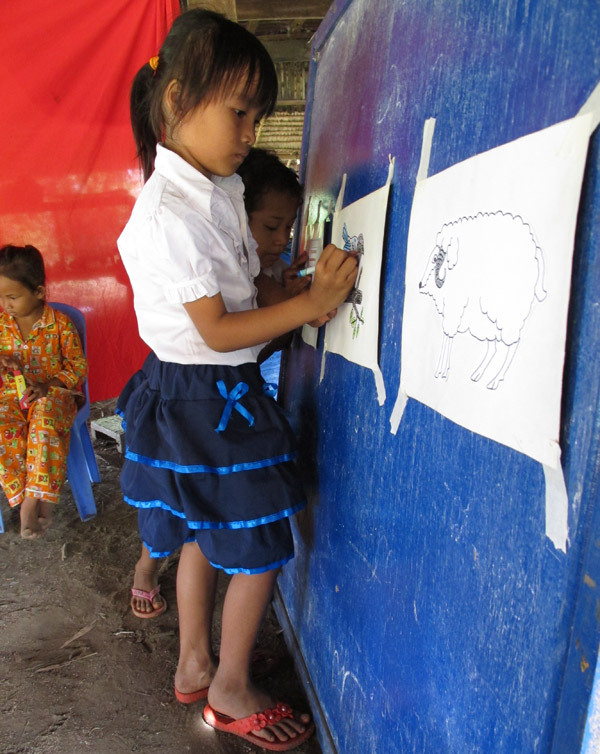 Neang, is preparing for school, but her mornings used to start in a completely different way. Since April of this year, Neang’s family have been enjoying the benefits of being connected to a new piped water supply system, providing them with readily available, safe, treated drinking water which meets international quality standards. In 1997, Bona Khoy was a UNICEF Communication Assistant documenting the impact of iodine deficiency disorder in Cambodia. 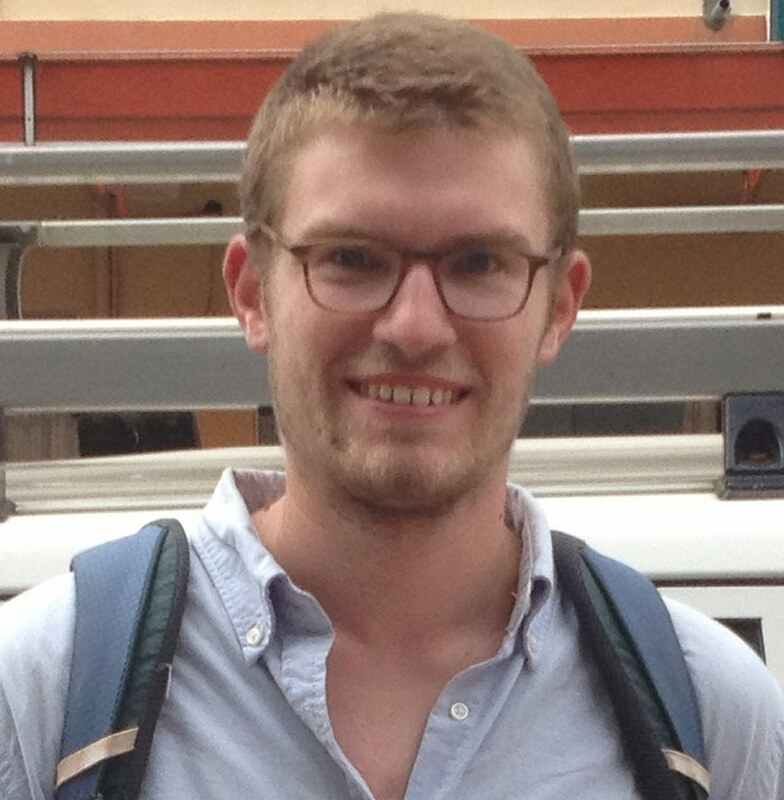 Now a Communication Officer, he recently revisited one family and saw first-hand how iodised salt had a made a difference in their lives. 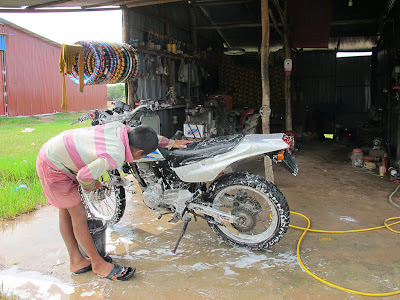 Tou Eourn has never attended school and works as a motorbike wash attendant in Svay Anthor Village, Prey Veng province. “My name is Tou Eourn and I’m 14 years-old. I’ve been living in Prey Veng province for two to three months now. 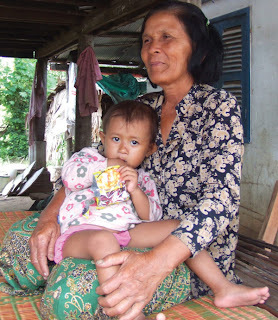 I used to live in Battambang province with my parents until they divorced. After the divorce, my mother and I moved to Ratanakiri province and I lived in a pagoda with the monks. I used to assist many monks and be a monk boy. I worked as a monk boy for five years. 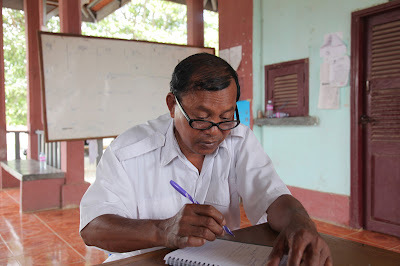 Vibol (name changed) points at the whiteboard as he mentors another Korsang client. Living in Ormal village, about 30 minutes from the Battambang city. Phoen Sopha lives in Ormal village, about 30 minutes from the capital city in Battambang province, north western Cambodia. Sopha said she was 10 years old, but according to her birth certificate, she is only 8 and will celebrate her ninth birthday in November. Sorn Ratha, aged thirteen, with goitre. 35 year-old Mrs Lun Savoeun plays with her daughters at home. 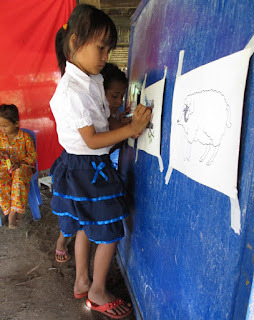 Home-based early childhood education programme making a difference to school readiness. Mrs Lun Savoeun is a 35 year old mother of three in the village of Neak Ta Snoeng in Kampong Cham province (three hours north-east of the capital, Phnom Penh). Aside from raising her own children she is also a ‘mother team leader,’ helping four other mothers to develop their children’s physical, mental and intellectual abilities in readiness for primary school at age five. Sina 6 and her sister Neang 12, (names changed) wash dishes outside their home. After helping her grandmother sweep their yard in rural Tiang Kroch commune, 68 kilometres west from the capital Phnom Penh, six-year-old Srey Sina* curls up in her grandmother’s lap, tired from completing her household chore. Sina, the youngest of five children, tires easily from undertaking such small tasks. 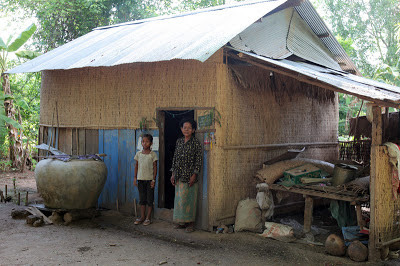 The house was funded thru UNICEF Commune Council budget for vulnerable families. It’s an overcast evening in rural Koky village and 53-year-old Thorn Soeun feeds her numerous chickens before preparing an evening meal for her grandniece Sambo in their newly built home. After heavy flooding in Cambodia's Kandal province in 2011, the poorest households were especially prone to the problems caused by floods, with very low access to safe drinking water sources and sanitation facilities and a lack of good hygiene practices among the families. “My name is Sreng Kimchhay and I am 14 years old. I live in Phnom Penh with my family. I really love my family, especially my parents and my brother. My father is a member of the commune council, and my mother is a housewife. In the family, I am the youngest son, and my brother who is 21 is a student at university. He also works as a reporter at a local newspaper. Makara (name changed) helps herself to fruit in the M’Lop Tapang’s canteen. M’Lop Tapang, a local non-governmental organisation (NGO), joined forces with UNICEF and Friends International (FI), as a key partner in the Partnership Programme for the Protection of Children, also known as 3PC. The partnership programme with contributions from the German Committee for UNICEF, the Netherlands Committee for UNICEF and USAID, aims to help strengthen the country’s efforts to prevent and respond to child protection concerns. 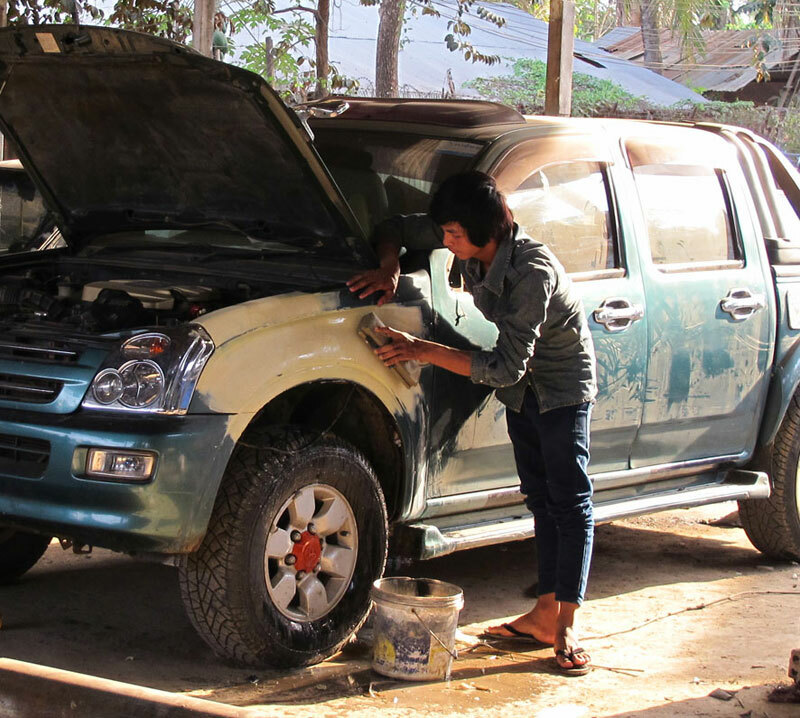 In support of government strategies, the partnership programme operates in five provinces and involves eight other NGOs across Cambodia. I am Chhay Hean. 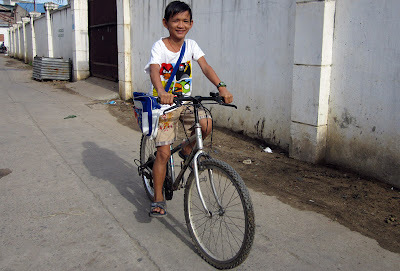 I am 13 years old and I live in Kampong Thom province with my family. My father is a manual labourer and my mother makes a living digging for potatoes at a nearby farm. In the family, I am the youngest. I have two older brothers and one sister. They are students in secondary school and high school. UNICEF in partnership with Krousar Thmey - School for the Deaf, and with funds from IKEA Australia, recently supported pre-school teachers from Kampong Thom province and Prey Veng province, to attend a four week training course entitled “Basic training for teachers in teaching children with hearing impairment”. Sophal Khiev, Chief of Srang Health Centre. “I’ve noticed people in the community, especially vulnerable women understanding the importance of visiting the health centre. Before, they would deliver their babies with a traditional birthing assistant. 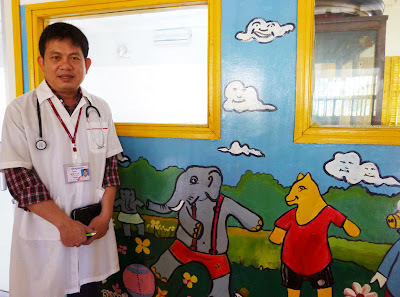 They didn’t understand that they needed to take special medicine prior to delivering their babies,” explains Sophal Khiev, Chief of Srang Health Centre. 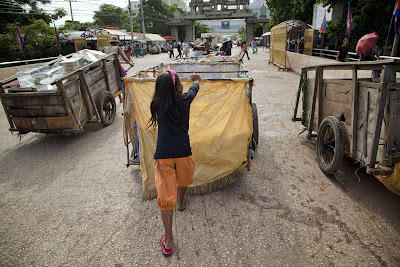 Cart pushers cross the bridge that separates the no man's land to the Thai border. An estimated 2,000 Cambodian children cross the border into Thailand every day to work or beg. Yet despite these astonishing figures, there is little being done to ensure these children get the proper start in life that they deserve. The Goutte d’Eau drop-in centre, which UNICEF supports, was opened in 2001 to help support these children and is the only centre of its kind in Poipet. While Cambodia has improved key health indicators for mothers and children over the last 10 years, infants born in rural areas are three times more likely to die during their first year of life than infants born in urban communities. Last year, Cambodia experienced flash floods where it was reported that 350,274 households (over 1.64 million people, including 700,000 children) were affected. 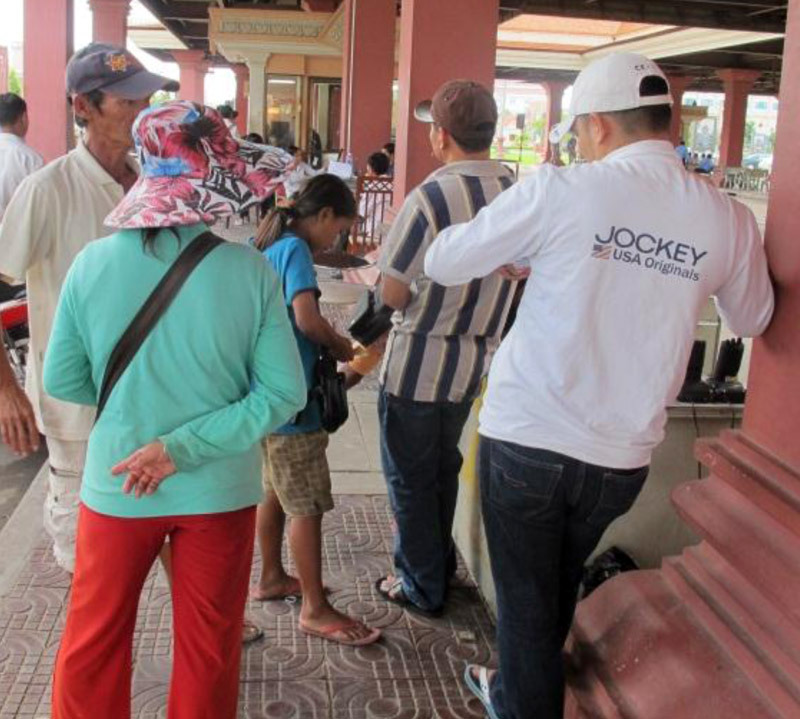 The most affected provinces were Kandal, Kampong Cham, Kampong Thom, Kratie and Prey Veng. Dara (Name changed) at work at the garage. In a busy garage in Battambang, north-east Cambodia, Dara*, 21, works diligently scrubbing down the front left wing of a vehicle. In deep concentration he brushes away any surface residue with his hands to prepare the wing for painting. 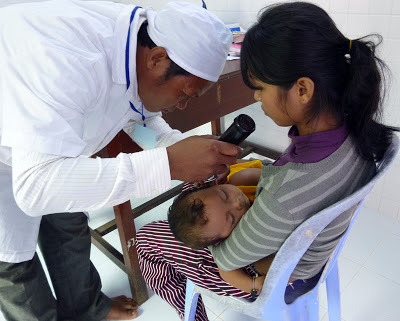 This three minutes karaoke video is part of the UNICEF-supported complementary feeding campaign in Cambodia to encourage mothers and caregivers to provide young children (from 6 months - 24 months) with adequate nutrition from a combination of complementary food and breast milk. Cambodia remains one of the most heavily mined countries in the world. 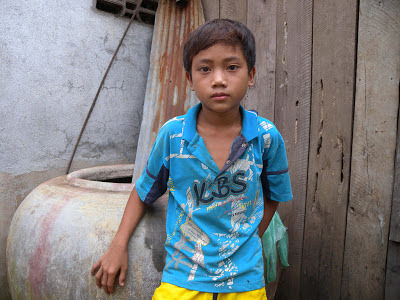 Children account for about half of all landmine casualties in Cambodia. UNICEF is the lead agency for mine-risk education, and also assists mine victims, especially children, supporting their reintegration into school and their communities. 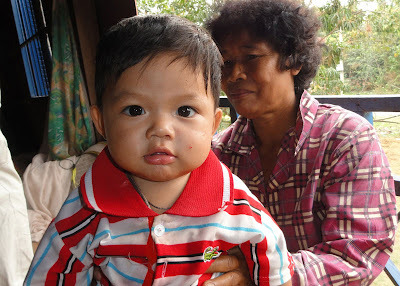 Cambodia has made impressive gains in reducing child and infant mortality. Yet neo-natal mortality or death of children in the first 28 days of life has remained high and accounts for about half of all deaths of children under five. In this video we see how UNICEF has been supporting Ministry of Health to improve the availability of skilled and quality care at village health facilities for mothers and their newborns.